English - About us - Multisell 2016 S.L. The project involves the special edition of a "Music Library", as a part of the cultural contents of the San Sebastián-Donostia European Cultural Capital 2016 events. 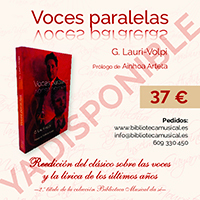 Our objective is the re-edition of a number of representative books, "little gems from the music world", most of them quite old (between 70 and 150 years), that have never been translated into Spanish. 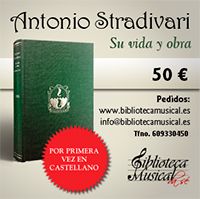 These books are full of events and experiences of renown (and not so renown) composers, writers, singers, castrati, luthiers, violinists, harpsichord players, impresarios, managers, etc. related to the world of Opera and Music, generally speaking, from the 17th, 18th, 19th and 20th centuries. We are a small newly created company. Connoisseurs of the world of music, our goal is to "discover and approach" the audience lover of the same and fans in general, a series of representative works that tell us how they lived, sang, travelled, mingled with each other, negotiated and developed their musical careers, always told from a very personal point of view that stays close to the protagonist, sometimes narrated by themselves (Autobiographies), sometimes by people from their environment (Biographies). We’ve called our choice of books the "Biblioteca Musical da sé". The Italian words "da sé" express the concept "by itself" or "for himself", and stand for the personal nuance we are looking for in most of the works we will present. Each person, with their different sensitivities, may "enter" and /or "get involved" in a varying degree, in the life of each artist, be present and know their feelings, given the nearness to the facts that are reported in their most important experiences (discovery, study, sacrifices, debut, marriage(s), successes, failures, anecdotes, etc., etc.). Everything told with the literary style of the time.